At Minneapolis Radiation Oncology, we play an active role in the communities we serve. We’re constantly looking for ways to make a difference by generating awareness about cancer research, and treatments, and sponsoring activities that support cancer related organizations. Join MRO in the fight against breast cancer. We are teaming up with Susan G. Komen for the Twin Cities 2019 Race for the Cure to support breast cancer patients and their families in the fight of their lives. Breast cancer affects us all, not just those diagnosed. Husbands, daughters, sons, sisters and co-workers have all been touched by this disease. This year alone, it’s estimated that 4,110 Minnesota women will be diagnosed with breast cancer. Together we can make an impact. WHO ARE YOU RACING FOR? Meet at the Minneapolis Radiation Tent on race day for your free tattoo. Together we can make an impact. 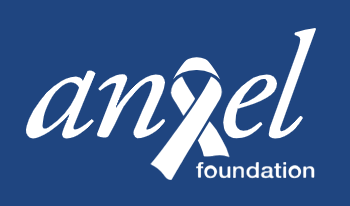 The Angel Foundation provides financial and emotional support to local adults with cancer and their families. 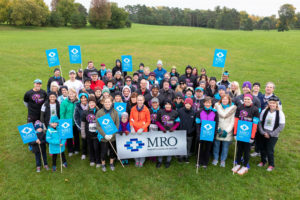 MRO is proud to have been a sponsor of the October 13, 2018 American Brain Tumor Association (ABTA) Breakthroughs in Brain Tumors 5K Run & Walk Twin Cities! Over 700,000 people in the U.S. are living with a brain tumor diagnosis. 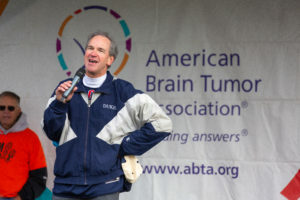 Your support allows the ABTA to fund desperately needed brain tumor research, patient programs, and support services. On behalf of the American Brain Tumor Association and the local volunteer committee, thank you for your support of the Twin Cities BT5K. 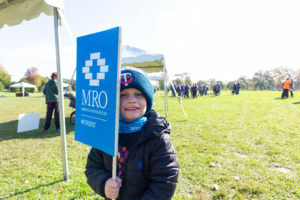 The MRO Team showed up in force and made a difference. Your presence and spirit sent a strong message to cancer patients, caregivers, and the medical community. Dr. Paul Sperduto, MRO Radiation Oncologist and Director at MRO | Ridgeview, spoke live on the WCCO 4 News at Noon Show on Tuesday, September 18. 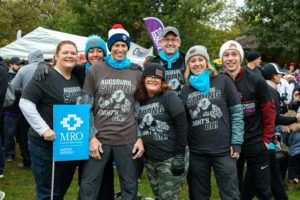 Dr. Sperduto was promoting MRO’s sponsorship of the October 13 Breakthrough for Brain Tumors Run & Walk and discussed the breakthroughs in brain tumor research and treatment advancements. To see Dr. Sperduto’s interview on WCCO 4 News at Noon Show, click here. Dr. Sperduto is the Director of Minneapolis Radiation Oncology at MRO Ridgeview Regional Therapy Center in Waconia. He joined MRO in 1993. His clinical practice focuses on using radiation therapy for a wide range of cancers, with a particular interest in brain tumors. Dr. Sperduto is nationally recognized for his leadership in the advancement of radiation oncology technology and treatment protocols, including Gamma Knife Radiosurgery. Minneapolis Radiation Oncology is the Twin Cities’ largest provider of radiation oncology. With more than 11 convenient locations, patients and families can receive treatment close to home.